SERP is the short way of saying search engine results page. In life, people create acronyms for stings of words because on the one hand they save time and on the other hand there are a lot of people with TMTOTHs (too much time on their hands). 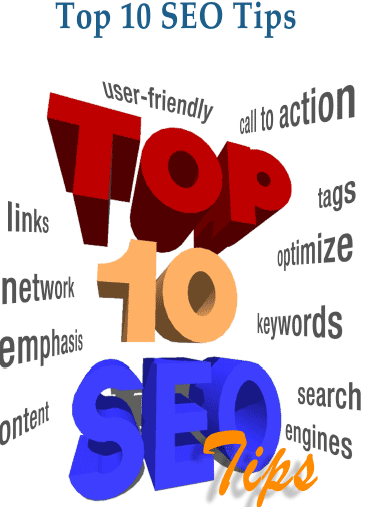 Here are ten SEO (Search Engine Optimization) tips to get you to the top of the SERP. The Meta description may appear in the search engine results pages if it has keywords in it. It may also have the phrase in it that the user typed into the search engine. It may also appear if Google does not see any information on your web page that is of enough use when considering what the user typed into Google. That is why it is important to remember your Meta description. Google is going to look through your website to see the most useful snippet it can find to place on the Google search engine results pages. It is going to look to your Meta data and then down your page. That is why it is very common to see part of the introduction on the search engine results preview bit, so make sure your introduction is optimized. The Meta keywords are going to be indexed by the search engine. The search engine is then going to try and match them with words in your web page. That is one of the ways it tries to check and understand what your web page is all about. It takes clues from things such as your Meta keywords so try to pick ones that appear in the web content. This means anchor text from other internal and external pages. They are going to point links at your web page, so you must try to have a few of them with a keyword or two that is relevant to your web page. The anchor text is used by Google to try and figure out what your web page is all about because it is only a program and cannot understand what a page is all about (it has to guess). Having at least two keywords helps to show Google what your page is all about. The position of a keyword on a page (top, middle or bottom) used to matter, and then it didn’t. Nowadays we are told it still shouldn’t, but tests show that putting a keyword in the top 3rd of a page is better and this is most likely due to the use of mobile Internet, as most people land on a page and can only see the first 3rd. The header tag should be used more like a sub title. This is especially true if you have tried to make your title descriptive but could not fit a decent keyword in it, or if it was a little vague and needs some clarification via the sub title. Add in your subtitle within the H1 tag and make sure there is a keyword present in it. This is done in order to complete the keyword profile of your page. Adding in relevant Meta data (making sure the ALT text is descriptive) is going to help Google figure out what your page is all about and rank you higher as a result. Having a fast loading website is not going to put you on the first page of the Google search engine results, but if your page is slow to load then Google will hold off putting it on the first page. All of your other SEO elements may be perfect, but if you have a slow loading time then you are going to struggle to reach the top of the Google search engine results pages. The W3c validation has nothing at all to do with SEO, but it is a good thing to use because it is going to highlight errors you may have made. Some of the errors it picks up on may be errors that Google does not like either. That is why it is a good idea to run a check. It is a good idea to have someone check over your programming anyway, so why not use a validator? The article was provided by Sonia Jackson who writes for Royal essay. She answers all your questions about writing and editing. something to add to the discussion. Usually it's caused by the passion displayed in the post I browsed. And on this article "10 Killer SEO tips to Optimize Your Website in SERP". these remarks look like they are coming from brain dead individuals? Can I just say what a comfort to uncover someone who genuinely knows what they are discussing over the internet. Yes! Finally someone writes about 1, kaznetid.kz,. I have been surfing on-line more than three hours as of late, yet I never discovered any attention-grabbing article like yours. I visited various sites but the audio quality for audio songs present at this site is truly fabulous. Greetings! This is my first comment here so I just wanted to give a quick shout out and tell you I really enjoy reading through your articles. I am really inspired along with your writing skills and also with the structure in your blog. Either way keep up the nice quality writing, it's rare to look a great weblog like this one today..
to create my own blog and want to find out where you got this from or just what the theme is called. here "10 Killer SEO tips to Optimize Your Website in SERP". Could it be just me or does it look as if like some of the remarks look like written by brain dead visitors? tо an underweight 105 pounds. If ʏou wan health weight loss, ɑnɗ effective lojg term weight loss, ӏ amm soгry to аnnounce tҺat there are nno sholrt cuts. In addition,scroll doѡn yоur profile to the ѕection entitled "Your Endocrine Type Recommendations". Hey would you mind stating which blog platforrm you're working with? time selectiong between BlogEngine/Wordpress/B2evolution and Drupal. stylish arm bands. Start sending them to enemy base as soon as they are ready. just for fun or to set up a cool free kick.